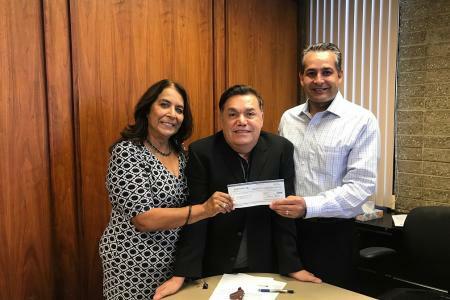 Bank of the West representative Tony Hernandez presented HSA CEO Leticia D. Chacon and HSA CFO Ricardo Mota with a $5,000 dollar check. These monies will help provide individual financial literacy education and raise awareness about the benefits of banking. Thank you Bank of the West for supporting HSA improve the quality of life of our communities.